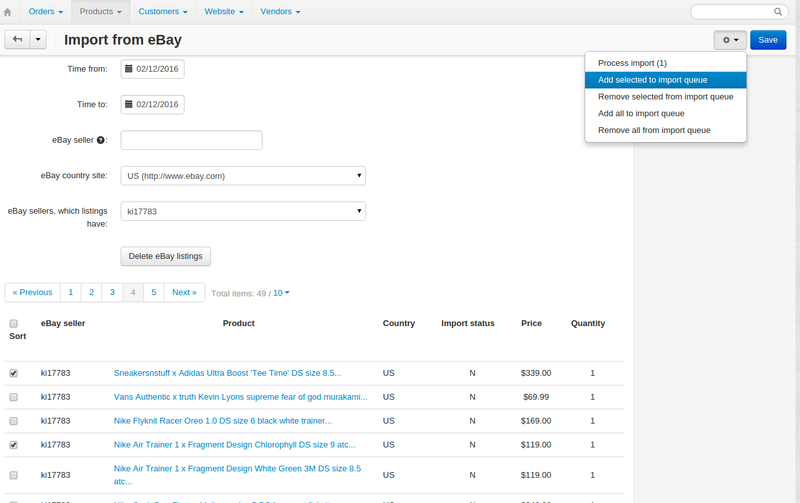 The Import from eBay add-on is a newly developed module that allows you to import product data from your eBay to CS-Cart. All you need is the standard set of correct eBay developer IDs (API, token, Certificate Key, Developer Key). 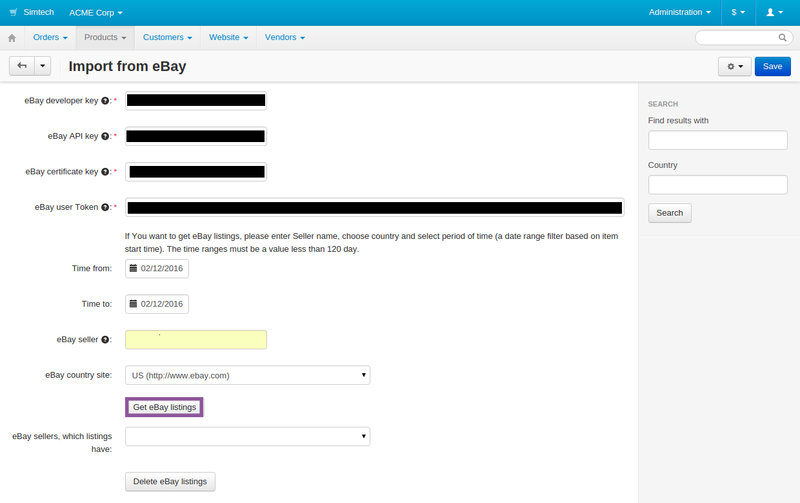 Enter login and password from your user eBay account (NOT DEVELOPER'S account). 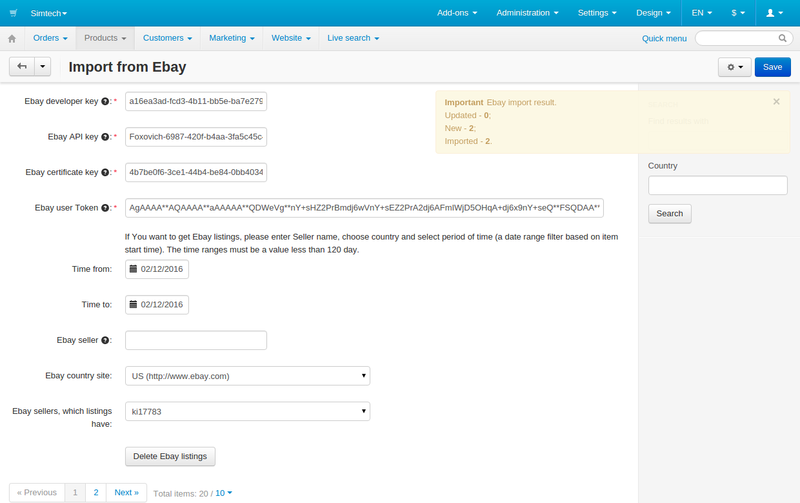 It is necessary for making a link between your user eBay account and developer's account. Read and accept the agreement to see the UserToken (a plenty of symbols). This token will be hidden and encrypted for security reason.  If you want to retrieve it sign as the eBay user from this page at any time. 3. 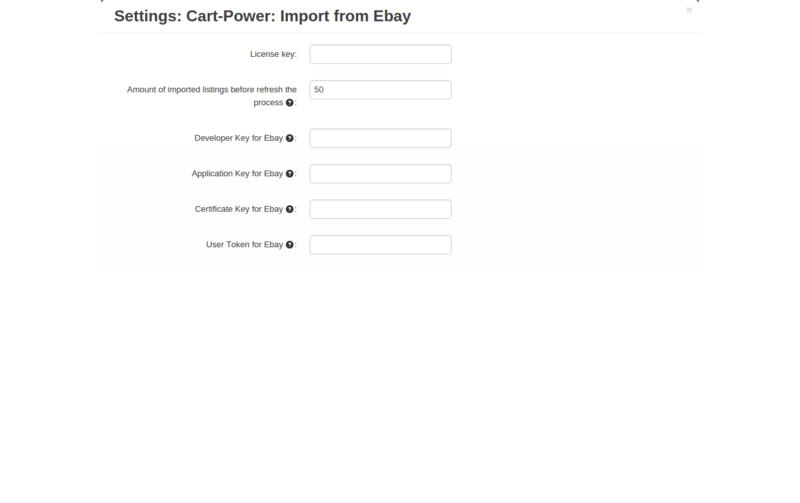 Open the Products > Import from eBay > eBay category manage page, choose the eBay country site, specify the level of categories ( 1 - root category, 2 - root category and sub-category, etc., 0 - all available categories) and get these categories. You can get categories from several sites if you need it. Map (set the links between) eBay categories and your store categories. Choose the Default eBay category on the Products > Categories > [category_name] > eBay page. This category can be only one in the store. 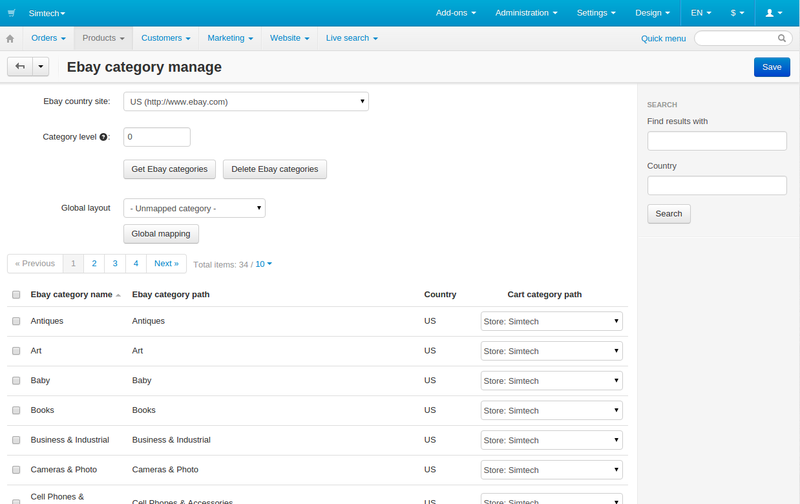 This category is used when you import some products with an unmapped category. 4. 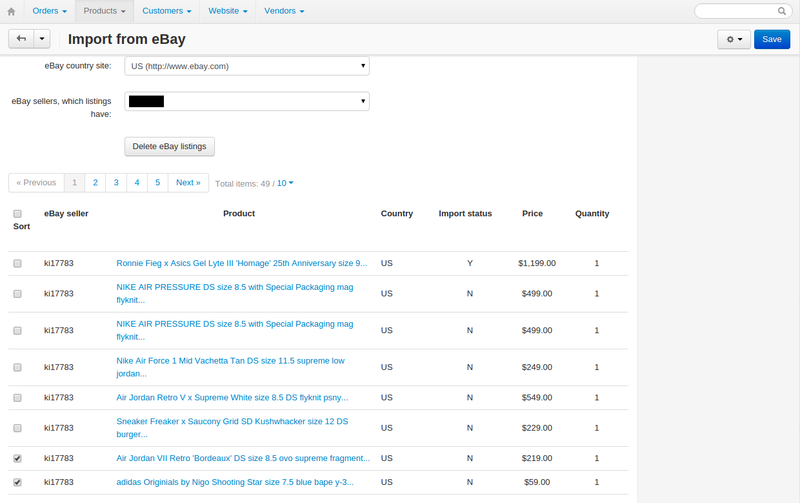 Go to the Products > Import from eBay page, specify the time period and eBay seller's name and get his/her listings. You can get the listings of several sellers if you need it. 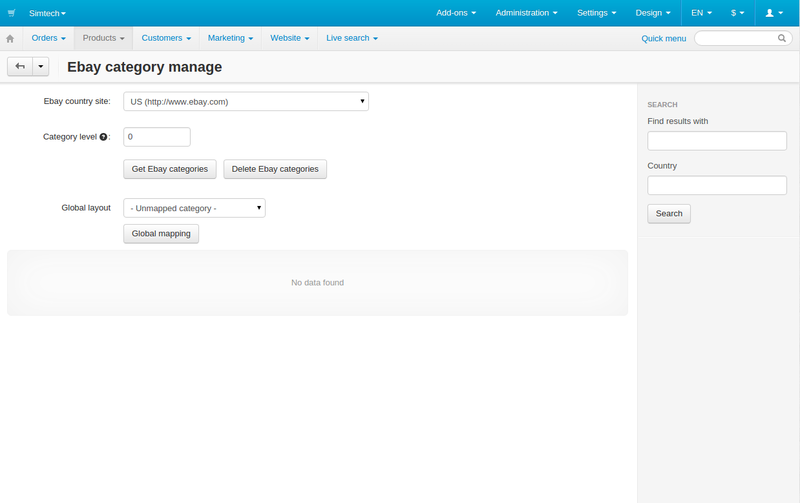 After that, tick the required products, click the gear button and choose Add selected to import queue. Add other products if necessary and click the gear button > Process import (number of chosen products) in order to initiate the import procedure. The results of the import will be displayed on the same page. All imported products will get the Disabled status.